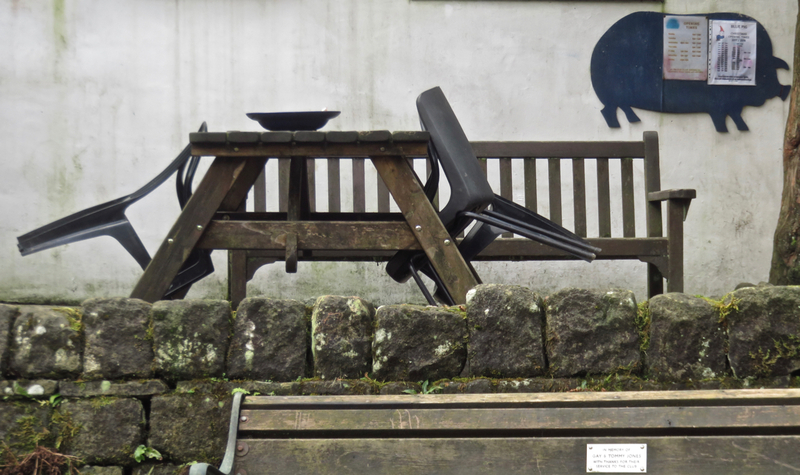 Yes, the Blue Pig is open…. A dull, non-festive shot? My apologies, but yes. Nevertheless to find the Blue Pig open as we went past it towards the end of our Christmas morning exercise walk was a great Christmas bonus. This pub, run entirely by volunteers, is like Brigadoon, sometimes it’s there, more often, it’s not. I managed to not document anything particularly ‘Christmassy’ about the day but then again seeing as it was mild enough to sit and drink a beer outside by the river, it didn’t particularly feel like it today and I get bored with all these cliches anyway. Either way… hope you enjoyed your version of the day, whatever you did with it.